Mental health nurse Sherry Groom has collected troll dolls since she was a child back in the early 1960s. She’s also passionate about the arts—and about helping the most vulnerable members of society: those who suffer from Alzheimer’s Disease. She turned all three passions into a profitable business with her visual marketing savvy—and a collection that earned the Guinness Book of World Records title for the largest collection of troll dolls. In what used to be the bustling city center of Alliance, Ohio sit hovels of abandoned buildings—their former greatness only a memory. This city, like many in the northeastern part of the state, lost its manufacturing jobs in the late 1960s, and with them, its vibrant downtown. Yet thanks to Groom and other arts entrepreneurs, the area has experienced a rebirth, in no small part due to the popularity of Groom’s business—the Troll Hole Museum and Art Emporium. Not everyone likes trolls, those naked little creatures with pointed ears, big eyes, and big hair straight out of Scandinavian myth. Those who do, though, like Groom, seek like-minded individuals to build friendship with each other and more knowledge about the creatures. There’s nothing like her collection on this planet. Thus, her world-class collection attracts the attention of troll lovers from all over the world. That principle holds true not only for trolls, but for other niches with a fan following. When a business can capture the attention of fans, it has a built-in customer base. Central to marketing to a tribe is creating visual images that attract people who are fans of the niche. In the case of the Troll Hole, everything from the window dressing to the interior to the promotional wear screams “troll.” A colorful storefront heavy on primary colors and hippie icons hosts smiling troll dolls in its windows. 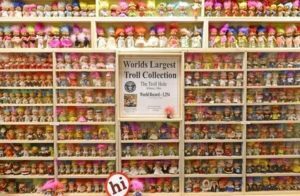 Inside, shelves of trolls and troll-related merchandise line its shelves. A heady whiff of roasted coffee and rich chocolate greets visitors as soon as they open the door. People who appreciate the cultural heritage of the mythological creatures are, in general, globally aware consumers. The Troll Hole’s customers soon discover that the café’s offerings are both fair trade and organic. No guilt here. A cup of joe and a handful of chocolate help support artisans around the world—and increase the revenue of this local spot trying to revitalize a dying city center. Furthermore, part of the proceeds from the Troll Hole’s art emporium also go to Arts for Alzheimer’s—a charity that helps Groom’s patients at her day job, which she still manages to hold down, despite the thriving business at the Troll Hole. Not only does the Troll Hole offer a spot to rest one’s feet after a long day of scouring the district’s many flea markets, but it also offers a museum to house the owner’s world-famous collection. Troll lovers can stroll through a fairytale fantasyland for hours gazing at troll dolls peering out from grottoes, waterfalls, and a garden full of hand-crafted troll-themed sculpture. Part of the Troll Hole’s business marketing strategy includes promotional merchandise. After touring the museum, what troll fan wouldn’t want to brag to their fellow troll lovers that they have seen the troll capital of the world. What better way to do that than to strut around one’s hometown with a T-shirt bearing the museum’s cheery logo? Groom also takes advantage of low-cost methods to market her business. With only a little money invested in a website and blog, she can advertise her museum and troll doll offerings to troll lovers throughout the world. She doesn’t leave out the locals, though. Groom sponsors marathons and other events publicized in the local newspaper. Participants receive a troll-themed souvenir T-shirt, which helps her spread the word about her business to local residents as well. 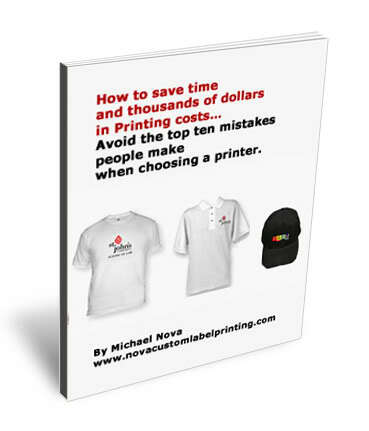 No matter how small a business’s niche is, a clever marketing plan that incorporates low-cost, high-interest components can bring in the customers. The Troll Hole Museum is a living example of a successful business whose marketing plan has done just that.